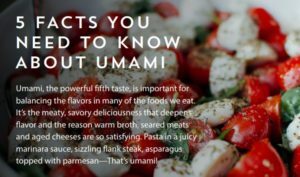 Umami, the proven fifth taste, has enjoyed a fascinating and stellar history since its discovery in 1908. One of the highpoints in umami’s 110-year timeline is the World Umami Forum, which took place in New York City, September 20-21, 2018. This inaugural conference attracted food science experts, renowned researchers, food historians, journalists, registered dietitians, and culinary professionals from around the world. Participants left the meeting with a deeper understanding and appreciation of umami and its essential role in cuisine, and learned about the extensive science that refutes urban myths about monosodium glutamate (aka MSG or “umami seasoning”). The World Umami Forum featured thought-stimulating topics and an impressive lineup of presenters, who are recognized experts in their respective fields (full list of presenters). 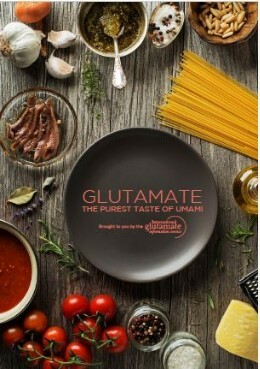 Several presenters observed that the human preference for umami taste begins in infancy, probably due to the high levels of glutamate, an amino acid, in mother’s milk. They also noted that the glutamate from MSG seasoning and the glutamate occurring naturally in foods such as tomatoes and parmesan cheese is exactly the same. The body treats glutamate in the same way no matter what its source. Presenters also discussed the role of umami in nutrition, focusing on the latest research evaluating the benefits of umami for appetite control and even calorie reduction, as well as the role of MSG in a reduced-sodium diet.